NEW YORK — The New York chapter of the Association for Recorded Sound Collections has invited music producer, critic and translator Lawrence Schulman and songwriter, memoirist and novelist John Meyer to talk about singer and actress Judy Garland on Thursday, September 19, 2013 at 7 P.M. in the Recital Hall (Room 95, basement level) of the Sonic Arts Center in Shepard Hall at the City College of New York, 160 Convent Avenue (and W. 140th Street), New York, NY 10031. Admission is free to the two hour talk. 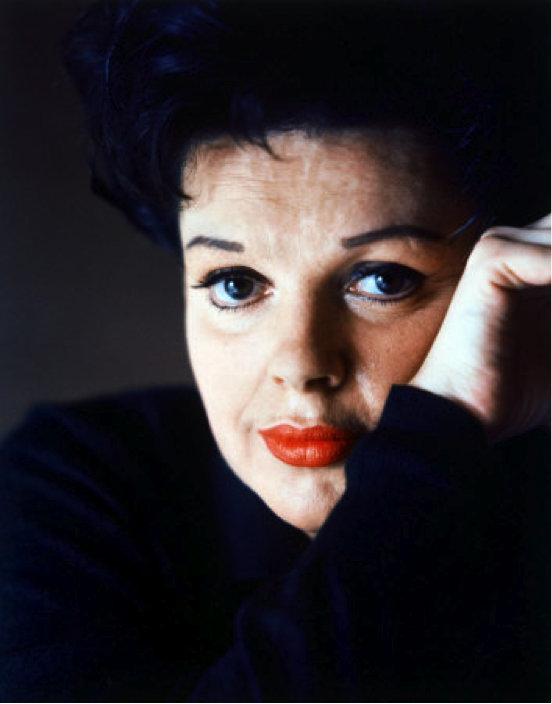 Entitled “Judy Garland: Moments of Magic,” the Schulman talk, featuring nine audio and video clips, will examine Judy Garland’s life and career. He will endeavor to answer the question: “If I had just one hour to convince you of Judy Garland’s place in classic American popular music, what film and television performances would I choose?” During Meyer’s talk, entitled “Unreleased Judy Garland: An Aural Snapshot of Her Late Career,” he will detail his experience with the legendary singer, perform a few of his songs, answer questions, and sign copies of his memoir, Heartbreaker, which will be available for purchase. Schulman has produced and written the liner notes for numerous CD sets devoted to Judy Garland over the past twenty years, and has written extensively about her for the ARSC Journal. He was responsible for discovering and releasing Garland’s historic 1935 Decca test records in 2010, as well as her 1960 concert at the Olympia in Paris in 1994. Lost Tracks, a 4-CD box set which came out in 2010, won the “Best of 2010” award from Radio France. His most recent collection is Judy Garland: Creations 1929-1962 Songs She Introduced (JSP Records, 2013). Meyer composes music and writes his own lyrics. His writing skills encompass musicals, screenplays, and historical fiction. His songs and score for the episode Gershwin’s Trunk was produced by Steven Spielberg as part of the Amazing Stories TV series (1986). His original musical, The Betrayal of Nora Blake, had a critically acclaimed run in London at the Jermyn Street Theatre (1998). During Meyer’s association with Garland, she performed his “I’d Like To Hate Myself in the Morning,” “Prayer,” “After the Holidays,” and “It’s All For You” on national television. From that exhilarating, exhausting experience he wrote a memoir, Heartbreaker, published by Doubleday in 1983 and reissued by Citadel Press in 2006, of his attempt to rescue her from her addictions. He wrote the song “When Do the Words Come True?” following Garland’s death, and it was first performed in his 1971 musical play of the same name. His songs include “I Discovered You,” “You Bring Out the Beast in Me,” “Wish Me Luck,” “Wait and See,” “First Thing About You,” “Survivor,” and “Goin’ for the Cheese, Louise,” and have been interpreted by Linda Eder, Margaret Whiting, Eartha Kitt, Shirley Bassey, Janis Siegel, and Anita Ellis. His most recent novel, Operation Ruby Slipper, published in 2011, is a fictional story of Garland’s involvement in a plot to photograph a German physicist during World War II. The stage version of Heartbreaker recently had its world premiere in Glens Falls, New York. His blog can be read at: http://meyerwire.wordpress.com/. Just to report that John Meyer’s and my talks went great. We had a good crowd at City College of New York, and one person came from as far away as Washington D.C. to hear them. They were also filmed by ARSC-NY, and should be online in the near future. It was an honor and pleasure to have been invited. Been working non stop an a new RERSTY. on Cape Cod. First time on computer in almost 2 weeks! Talk more soon….. and I still want the book. Tal.lk b etwreen THG and Xm as (OHann ukkah easr.ly thiks year I think).